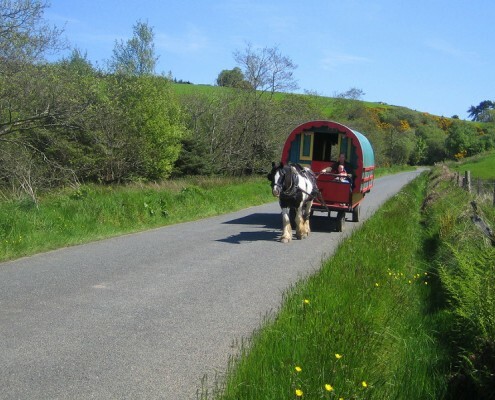 The Clissmanns offer a number of unique touring holidays in County Wicklow, one of which is the rental of a horse-drawn caravan. 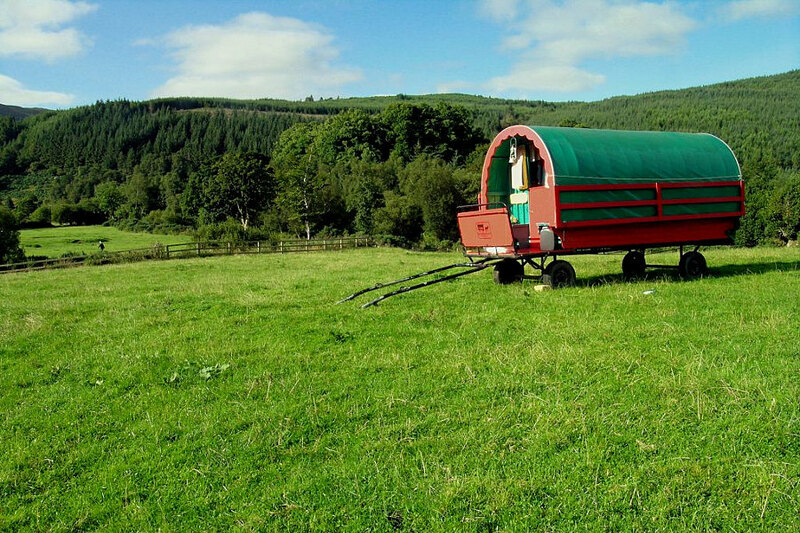 Each caravan has self-catering facilities and can sleep up to four people. Most visitors having no horse experience at all, so each holiday begins with a comprehensive ‘horse instruction’ session. 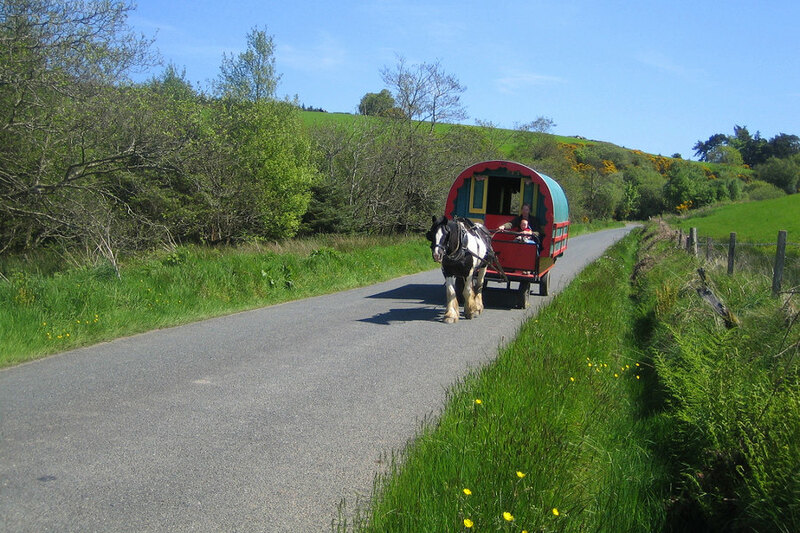 This consists of learning how to catch, look after, harness, yoke and drive a horse. 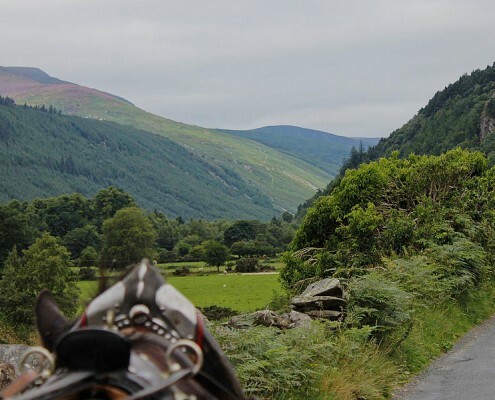 Free to set your own itinerary and ramble the roads of Wicklow, the Glenmalure Lodge is one of the designated sites where you may choose to stay overnight. 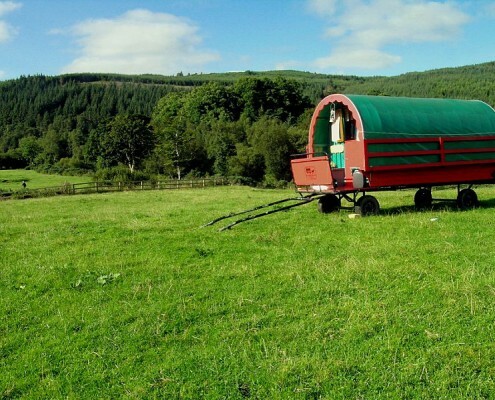 After parking your caravan and settling your horse down to graze, you can come inside for dinner, a few drinks and perhaps enjoy some evening entertainment. 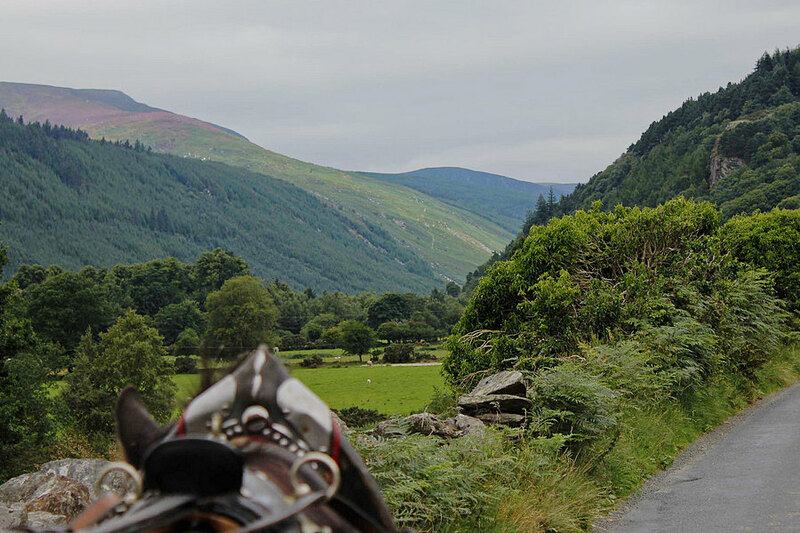 If you wish to take a break from the horse for a day, the Glenmalure Lodge can give you a courtesy lift to Glendalough, allowing you to return by foot and experience some of the sights along the Wicklow Way.